Our Karate school is not just a Martial Art School we help teach focus, fitness, health, weight loss, strength, assist with passive anti bullying techniques and this is not all about Kids Karate we have classes focusing on teenagers fitness and adults health and fitness. 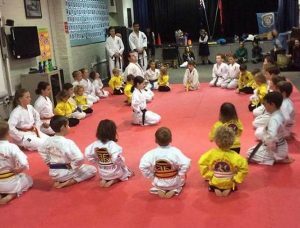 Trifu Dojo has been running it’s acclaimed programs for ten years in the Eastern Suburbs, with Karate Classes running in Paddington, Sydney CBD, Double Bay, Bondi, Pyrmont, Roseville and Narrabeen, and is easily accessible to the surrounding suburbs of Woollahra, Edgecliff, Potts Point, Darlinghurst, Chatswood, Kingsford, Bondi Junction and Waverly. 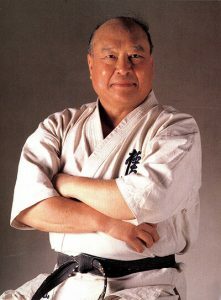 Sosai Masutatsu Oyama the Founder of Kyokushin Karate has been an inspiration to so many around the World. One of his most accomplished student’s, Shihan Tokujun Ishi was sent to Australia to spread the word of Kyokushin Karate “The Ultimate Truth”. In 1993 our Sensei (Teacher) Daniel Trifu (instructors tab Daniel Trifu) arrived in Australia from Romania and quickly became one of Shihan Ishi’s most dedicated and best students, training with him for the next seven and a half years until Shihan Ishi returned to Japan. Shortly after this Sensei Daniel started up his very own Dojo (Place of training)”Trifu Dojo” where he upheld all of the teachings of Sosai Masutatsu Oyama and also added his own interactive touches bringing Karate even more into the reach of the littlest practitioner. Kids Karate, without depleting from the curriculum, after many years the classes have been made extremely child friendly. Our adult karate classes cover all ability levels, ages and gender. Whether you are a martial artist of another style and wanting to try something new, wanting to get fitter or lose weight you could find no better place to train. Trifu Dojo is like training under a personal trainer or “Boot Camp” but with a multitude of other benefits, we help you set goals and keep them we give you a community of like-minded people and challenges and keep you training at your most optimum level. Kids Karate is a challenging and creative Martial Art but our Dojo takes it one step more, we also teach skills children require to get through all the stumbling blocks life can put before them, and set them up for a positive attitude, and a life that enables them to believe that although the world may be a challenging place it has many rewards, just take the right steps early in life to create the best possible outcome! As parents we are trying to find an avenue that will make our child that others can look up to, not just in a sport or academic way, a citizen of the world that makes a mark for him/herself in life, someone that people want to be around that are making the world a better place to be in just by being there. We uphold our philosophies. There is a belief that by merely practicing a Martial Art you find philosophies, but if you don’t have an instructor that upholds them and can pass them on they can remain a mystery. Our philosophy stays with our students well after they walk out our classes! We are always guided along the way by the parents’ feedback and enjoy a close association with the parents of our students, to help guide us in assisting their children strengthen any areas that may need improvement. We are the back up for you and your belief system never the other way around.